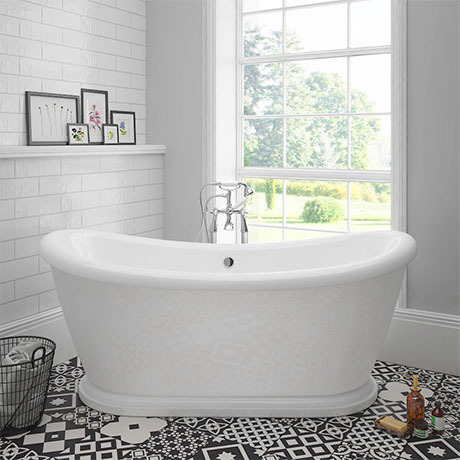 The luxury Chatsworth period style double ended curved free-standing bath, Victorian inspired design with a modern twist. The perfect focal point of any traditional bathroom, if you want to make a statement with your bath design, then choose from our luxury collection. Made with quality smooth white gloss acrylic.